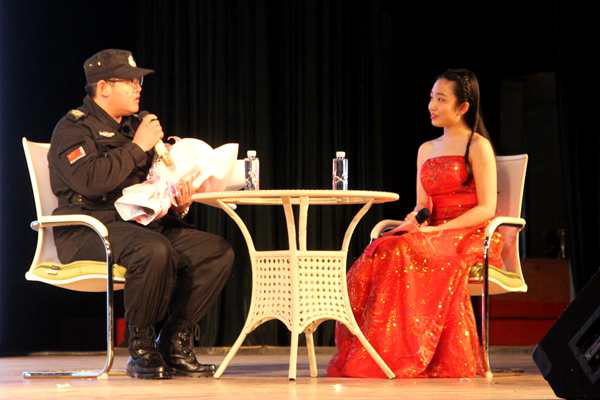 [News from the News Center] At 16:00, March 21, YSU 13th Awards Ceremony for Lei Feng Figures was held at 109, Student Activity Center, East Campus. After the recommendation, preliminary assessment and re-evaluation, Du Daxue(student from School of Environmental and Chemical Engineering), Kong Qingrui (counselor from School of Economics and Management), Yang Tao (security personnel from Security Office), Li Yulan (teacher from Liren College), and the targeted poverty alleviation team to Chengde were elected YSU 13thLeifeng figures. 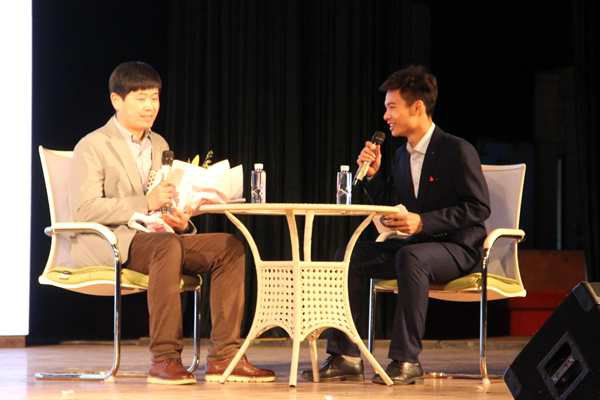 Liu Xuesong, deputy secretary of Qinhuangdao Municipal Committee of Communist Youth League, and Huang Sheng, YSU Vice President, attended the ceremony as well as directors of the Organization Department, YSU Committee of Communist Youth League, Security Office, School of Environmental and Chemical Engineering, School of Science,School of Economics and Management, School of Humanities and Law and Liren College, as well as more than 1200 teachers and students. 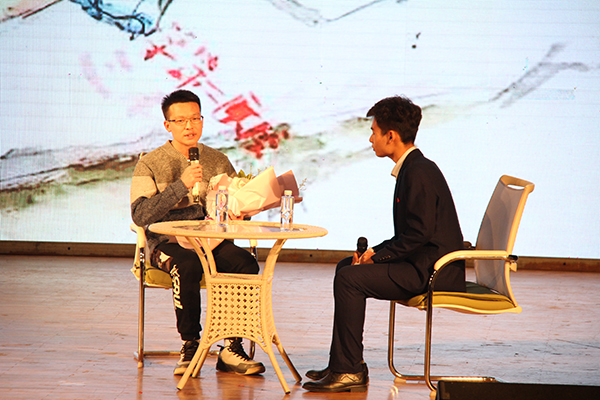 Besides, more than 4000 audience watched the live video online. 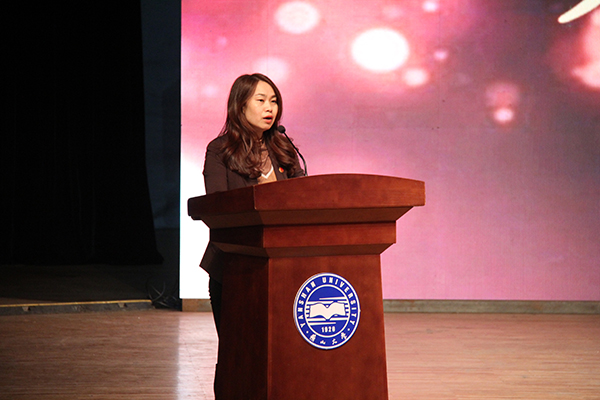 The award ceremony begins with the video reviewing the past 12 elections of Lei Feng figures.On behalf of YSU Committee of CYL, Li Xida delivered a speech, in which she extended her salute and gratitude to the selfless teachers and students. 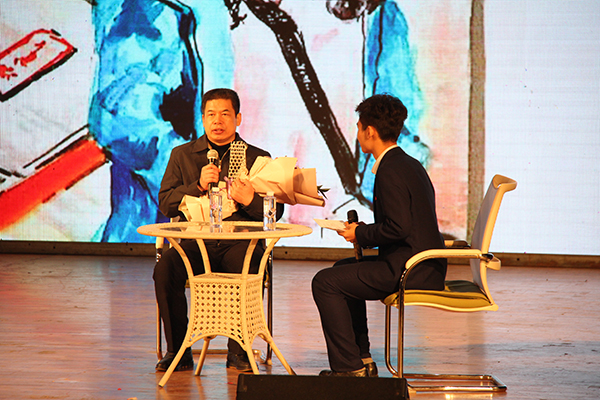 She calls on students to try their best to help others and repay the society, and hopes students to be a giant in action and implementtheir thoughts in concrete actions, writing the story of Lei Feng in the new era, and improving themselves while promoting social development. Later, the video and interviews gave a deeper understanding of the eminent deeds of the five groups of Lei Feng figures. 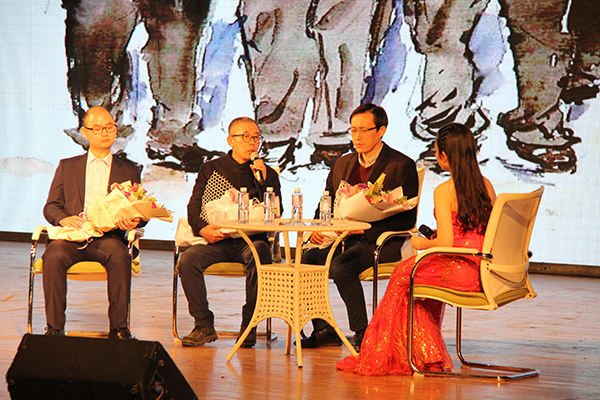 Du Daxue donated hemopoietic stem cellgratis; Kong Qingrui created “integrity shop” and helped poor students; Yang Tao bravely arrested the thief and rescued the elder man; Li Yulan helped the farmers to sell apples, subsidized poor students in Liangshan, and cared for orphans and disabled children; the targeted poverty alleviation team to Chengdetackled difficulties and worked together to design a grand blueprint for poverty alleviation.The audience was deeply moved and encouragedby the deeds of the five groups. 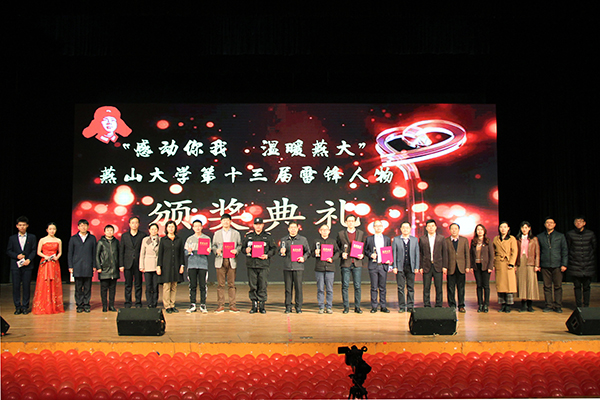 At the ceremony, Liu Xuesong and Huang Sheng jointly awarded the trophy and certificate to the five groups. The Awarding Ceremony for Lei Feng Figuresis sponsored by the YSU Committeeof CYL and hosted by YSU Youth Volunteers Association, aiming to find Lei Feng figures around us and promote the spirit of Lei Feng. More than 70 Lei Feng figures have been elected in past 13 years, which deeply touched every teacher and student and conveyed the positive energy.